We welcome new staff to join our community here at YWAM Ozarks! Our heart is to see your passion and gifts form, develop, and be released in a supportive family atmosphere. DTS Staff. Invest in the discipleship of others and travel the world while growing in your own relationship with God. 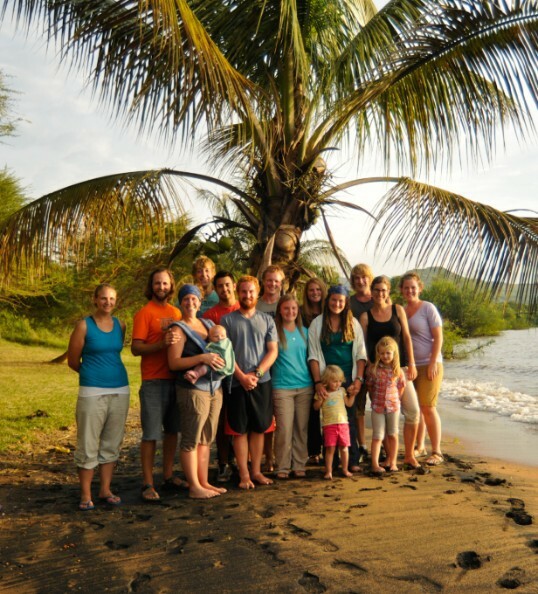 Mission Adventures Staff. Inspire the next generation by helping facilitate our mission adventure weeks. Lots of high energy and hard work but the reward of seeing youth take hold of the gospel is well worth it. Grounds Keeping. Landscape and care for our beautiful 44-acre campus atop Manitou Mountain. Housekeeping. Manage and upkeep an inviting and healthy community. Graphic Designer. Manage our direction and voice through print and online graphic communication. Agricultural Manager. Pioneer an initiative with farming and sustainable gardening as a means of food supply, stewardship and training in our 22 acre field. Kitchen Staff. Prepare and present nutritious and balanced meals. Help with menu planning, inventory, kitchen systems, and shopping. Maintenance. Manage the repair and upkeep of our campus facilities and vehicles. Public Relations & Recruiting. Interface with our local community by building quality relationships and expand our global network through creative communication. We believe people are more important than programs; thus, we strongly encourage a 2-year minimum commitment. Not only does this enable us to invest into your life, it enables you to make a significant contribution to world missions and build lasting friendships. All YWAM staff members are responsible to raise personal support. For your benefit, plan to raise a minimum of $500 per month. We recommend that you set a goal of $1000 per month in support. Personalized training in this area is available. The 2-year commitment allows you to process your personal support through our accounting office; your supporters will receive a tax deduction for their donations to your ministry. How Much Are Staff Fees? Dorm style housing is provided. All rooms have their own bathroom. Monthly staff fees of $250 per person are required for all staff members and their families to cover the cost of room & board.